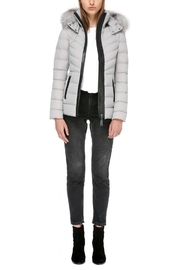 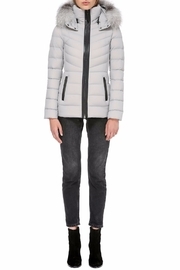 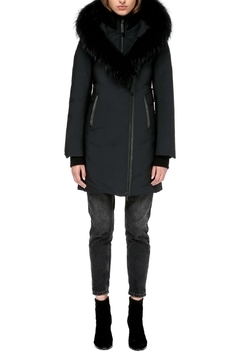 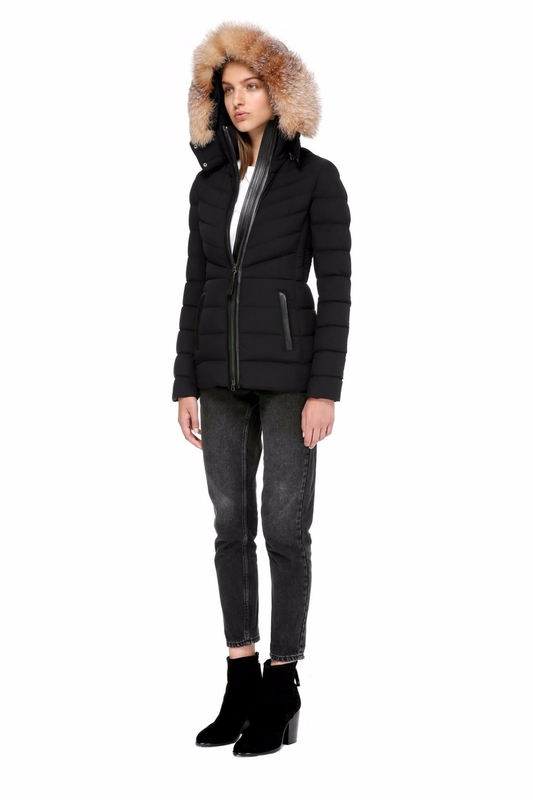 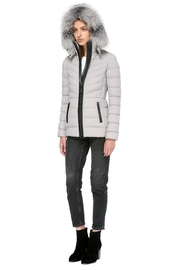 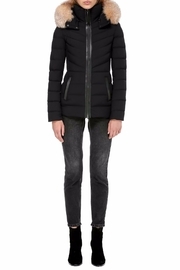 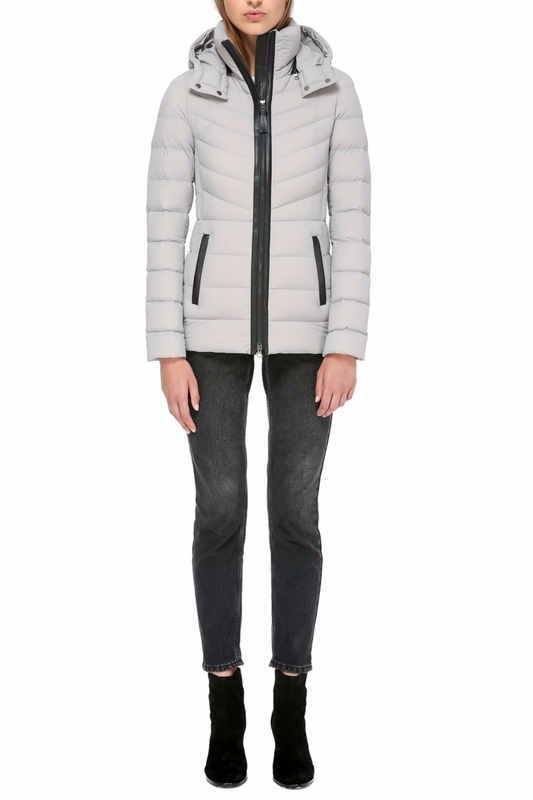 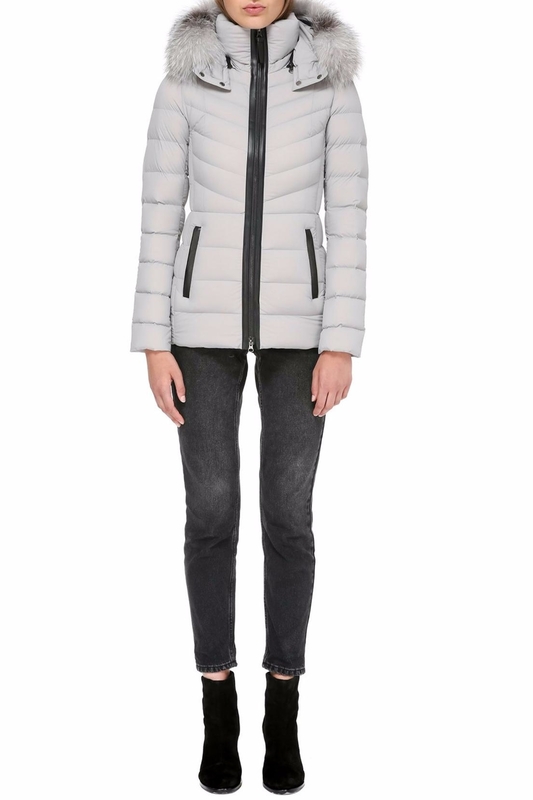 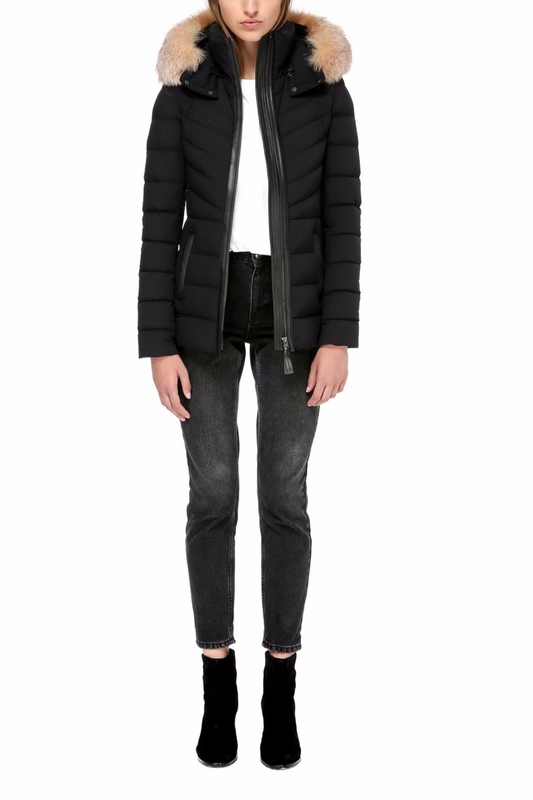 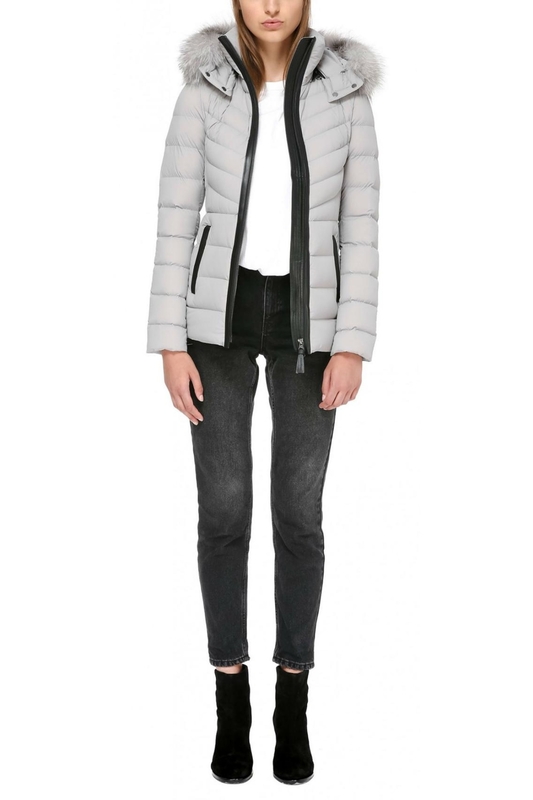 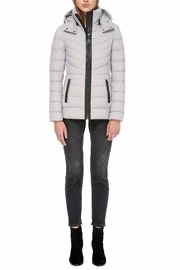 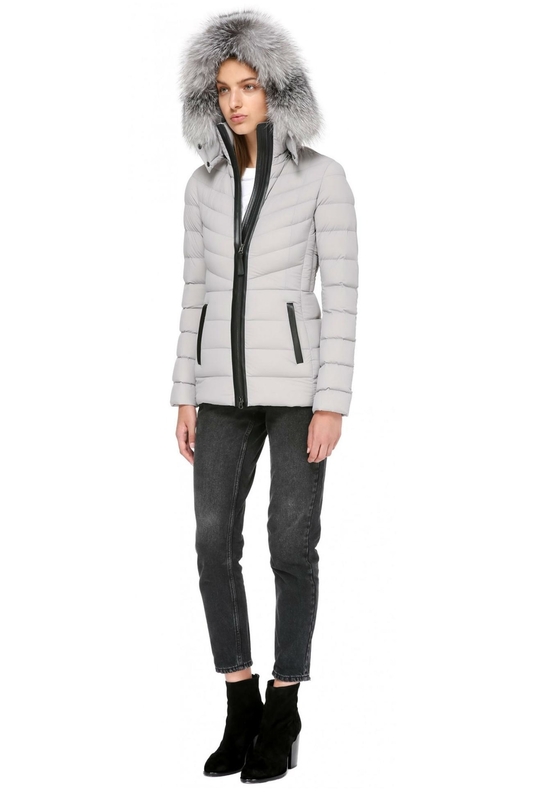 Waist length, quilted, lightweight down jacket with a fitted silhouette and a removable hood for versatility. 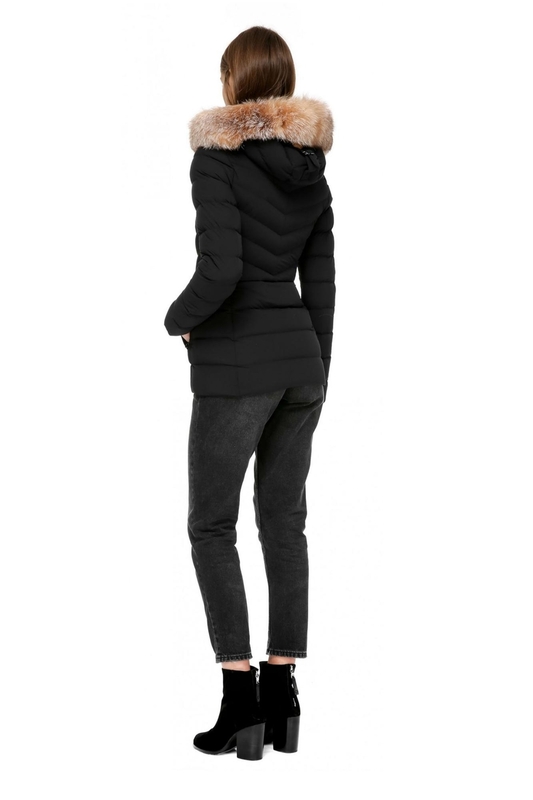 Crystal fox fur trim on black and frost fox on the mineral. 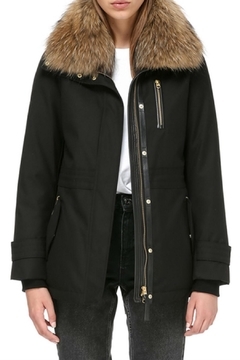 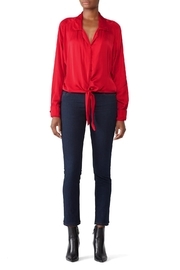 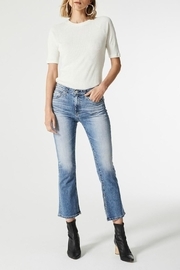 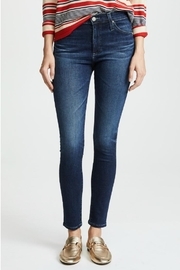 Features leather trims, zippered welt pockets. and leather hood visor. 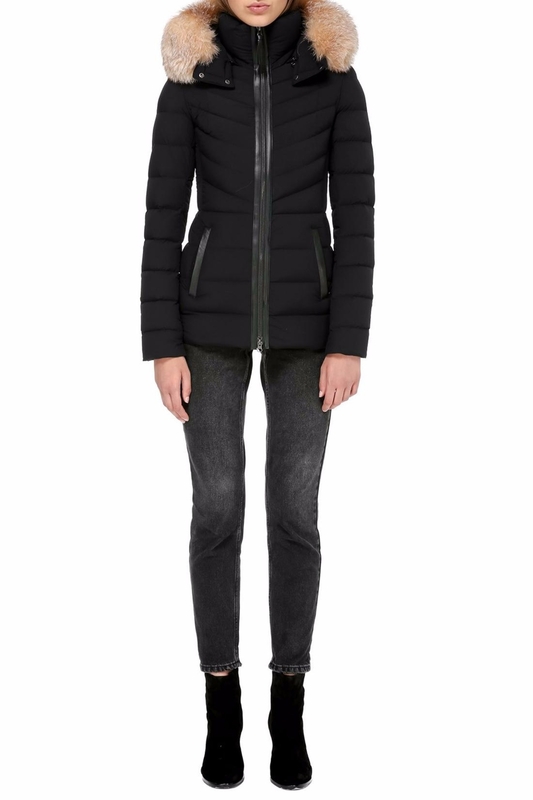 Made with water repellent fabric.